SB965 – Helps law enforcement track lost or stolen firearms. Incorporated into SB786 (Senator Marsden); passed the Senate but defeated in House Militia, Police and Public Safety Subcommittee. SB1012 – Prohibits firearms in legislative buildings. Failed in Senate Courts of Justice Committee. SB1109 – Restricts sales of firearms to those judged mentally incapacitated or committed. SB1232 – Requires criminal background checks for all firearms purchases. SB962 – Allows 17-year-olds to serve as Election Officers. SB963 – Permits Election Officers at different precincts to share staff to reduce long lines. Signed by the Governor and went into effect July 1, 2013. SB964 – Extends polling place hours from 7pm to 8pm. Failed in Senate Privileges & Elections Committee. SB967 – Eliminates requirement that certain supporting information, e.g., a disability or Armed Services ID #, be disclosed on absentee ballot applications. SB968 – Provides that failing to write a middle name or initial on an absentee ballot envelope is not sufficient reason to disqualify that ballot from being counted. Defeated in House Privileges & Elections Subcommittee. SJ319 – Constitutional amendment requiring adequate contributions to the Virginia Retirement System (VRS) be made. Defeated 16-24 on Senate floor. SB1233 – Allows students approved for Deferred Action Status to qualify for in-state tuition. Failed in Senate Education & Health Committee. SB1354 – Gathers information on virtual school applications to better serve students. SB701 – Prohibits discrimination in state employment, including on the basis of sexual orientation; introduced with Senator Donald McEachin. Passed the Senate but defeated in House General Laws Subcommittee. SB966 – Provides that an assault or battery of a magistrate is an equal offense to assaulting a judge. Incorporated into SB853 (Senator Petersen); signed by the Governor and went into effect July 1, 2013. SB969 – Repeals the law against cohabitation between unmarried adults. 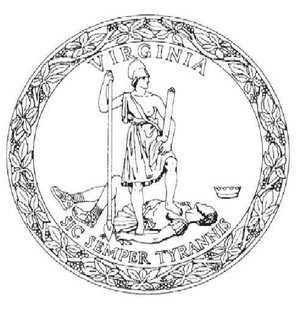 SB1273 – Vacates records of victims of human trafficking who were forced into prostitution. Referred to State Crime Commission. SB970 – Enacts a 5¢ fee on throwaway paper and plastic bags (with exceptions); revenue generated from fee to go to the Water Quality Improvement Fund. Failed in Senate Finance Committee. SB1102 – Fixes a loophole in emissions inspection with regards to 2008-09 Prius models. SB871 – Requires safety information be given to asbestos workers and allows for the Virginia Board for Asbestos, Lead, and Home Inspectors to prevent a contractor whose license has been revoked from resuming business. Passed the Senate; defeated in House General Laws Subcommittee.